The Boethiah Cultists are worshippers of the Daedric Prince Boethiah and are located at the Sacellum of Boethiah. 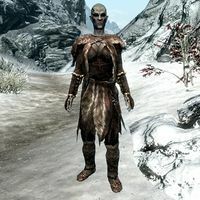 They play a part in the quest Boethiah's Calling, but they can also be found as a random encounter, carrying Boethiah's Proving in their inventory and initiating the quest. This page was last modified on 27 August 2014, at 17:15.